Thomas A. Duda is a member of the Firm’s Tax Credit Financing, Tax and Estate Planning, and Real Estate Practice Groups. 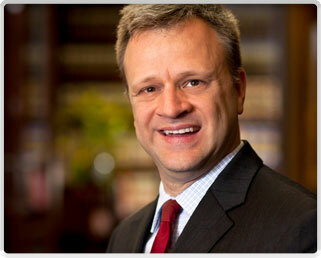 His practice includes representing developers, investors and lenders in tax credit financed real estate transactions. He also has substantial experience representing not-for-profit organizations. His tax and estate planning experience includes advising clients on tax-deferred like-kind exchanges, sophisticated estate planning techniques, and employee benefit issues. Represented several not-for-profit organizations with respect to their real estate and operational matters. Represented developers in connection with the development of new and rehabilitated affordable housing in urban and rural settings. Represented developers of commercial and residential in historically significant buildings qualifying for federal and state historic tax credits. Advised business owners regarding estate planning and succession planning. Advised businesses regarding retirement plan design and compliance matters. Prepared individual and trust income tax returns and estate tax returns. Represented taxpayers in connection with income tax audits, collection activity, offers in compromise and installment agreements, and in matters before the United States Tax Court.